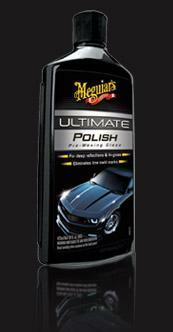 Meguiar's Ultimate Polish is the final step before waxing for maximum gloss and reflectivity. Rich polishing oils add a deep, rich, wet look to paint especially on dark coloured cars. For best results this should be followed by Ultimate Wax.